Welcome to the Fishing Report from Townsend, Tennessee in the Great Smoky Mountains. At 5:54 am, the temperature outside is 39.9 degrees. Today and tomorrow will be warm, with a high in the mid to upper 50’s. Tonight’s low temperature is predicted to be 50 degrees. It is going to rain tonight and tomorrow. The chance for rain range from 80% to 100%. One half inch to one inch of rain is expected. Little River is flowing at 121 cubic feet per second (cfs) or 1.74 feet on the flow gauge. Median flow for this date is 320 cfs. The water temperature is 39.0 degrees this morning. 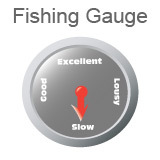 Fishing will be slow early. The water is still cold. It will warm some today. It will be warm tonight with rain. That should raise the water temperature further. I think tomorrow will be your best fishing day. It all depends on how warm the water gets in the low elevation streams. If the temps rise to 45 degrees, trout will become active. If the temps reach 50 degrees, the trout will be very active. I can’t predict what will happen, only that the water temperatures will rise over the next two days. You can monitor the situation using the USGS Little River Townsend link below. The temperature reading comes from the lowest elevation of Little River in the Park. The water will be colder in the higher elevations. I would plan on using nymphs. My choices would be Tellico, Prince, Pheasant Tail, Hare’s Ear, Rubber Legs Tellico, or Rubber Legged Pheasant Tail. I think there is a good chance for a Blue Wing Olive hatch. Tomorrow, trout may be feeding on the surface during a hatch, and that could happen later today. Be prepared with some Blue Wing Olive dry flies or emergers. Surface feeding will likely happen only if the water temperature rises above 45 degrees. That may or may not happen. I would fish the Middle and West Prongs of Little River. You may try the East Prong above The Sinks. It is possible the water will be warm enough up there. Again, I can’t speculate. The long term weather forecast, through Feburary 10th, indicates temperatures will be at or above normal. It looks like the days will be about normal and the nights will warmer than normal. 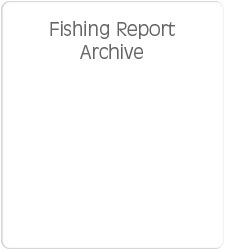 I don’t see any remarkable warming trends, or Spring fishing occurring, during that time. We should be looking at mid to late February, for that to happen. We are holding a very interesting event today at the shop. 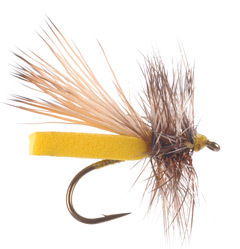 Guides Jon Oody and Patrick Fulkrod will be conducting Free fly tying demonstrations. All you have to do is show up. They will be demonstrating between 10 am and 2 pm. 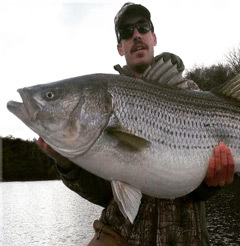 Jon has the striper fishing figured out, on our lakes and tailwaters. 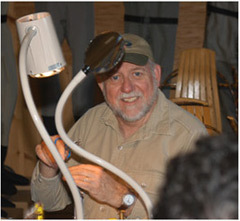 He guides clients using both fly and conventional tackle. Before moving back to Tennessee, Jon was a trout guide in Colorado. 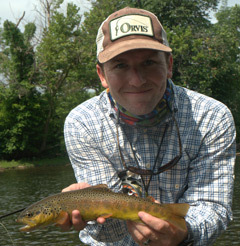 Patrick lives in Bristol, and guides his clients for trout on the rivers and tailwaters in his part of our state. He has been a finalist for Orvis Guide of the Year, more than once. Whether you tie flies or not, you can learn from these guides. Ask questions about fishing, while they are tying. They will be talking about fishing. These winter demos are discussions too. These two guys will be interesting to be with today. You can learn more about them by CLICKING HERE. The days are getting longer. It is warmer. I’m thinking about Spring. We all know Spring is coming soon.